Musician and Kyadondo East MP Bobi Wine will feature on Voice of America’s Straight Talk Africa next Wednesday. File photo. Musician and Kyadondo East MP Ssentamu Kyagulanyi aka Bobi Wine will on February 14, 2018 appear on Voice of America’s Straight Talk Africa to discuss African politics from the entertainment perspective. With a theme: ‘The role played by musicians in influencing African politics,’ the ghetto gladiator will interact with Ugandan born journalist and talkshow Shaka Ssali as they digest African politics. Bobi Wine will be representing fellow musicians turned politicians. 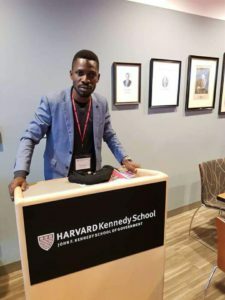 Bobi Wine’s Straight Talk Africa appearance comes at a time when Africa is experiencing diverse change in the political field with the entertainment industry taking over the diplomatic arena. Key figures already representing their electorate in higher political positions include Kenyan Musician Jaguar, Bobi Wine, Judith Babirye and Kato Lubwama among Others. We just wish the ‘Aidah’ hit maker all the best on his ongoing new challenge in life.